Each event is different and so is the price. The price can be based on a number of factors such as venue location, playing times and the services required. The best way to get a price is to request a quote or give us a call for a chat. Yes, a deposit is required for all confirmed bookings in order for us to secure the date and services that you would like. This is payable by bank transfer to our account or by Cheque. Please note that you will be provided with a receipt for your deposit payment. What are your standard playing times? Our standard evening disco playing times are usually from 7pm – 12 Midnight. You can of course arrange for any times that suit you best, there will be a reasonable additional charge for any extension to our usual timings. How long does it take for you to set up for a wedding disco? Once we have access to the room it takes 1 hour to set up and test the equipment. We will always take the opportunity to set up early if possible to prevent disturbing your guests and making sure every detail is perfect. We would love to meet with you to discuss your plans! You can choose to have us meet you at your home or at your venue with no obligation to book. Please note, we do not charge for this service. We dress very smartly and professionally for all occasions. Will you send us written confirmation? 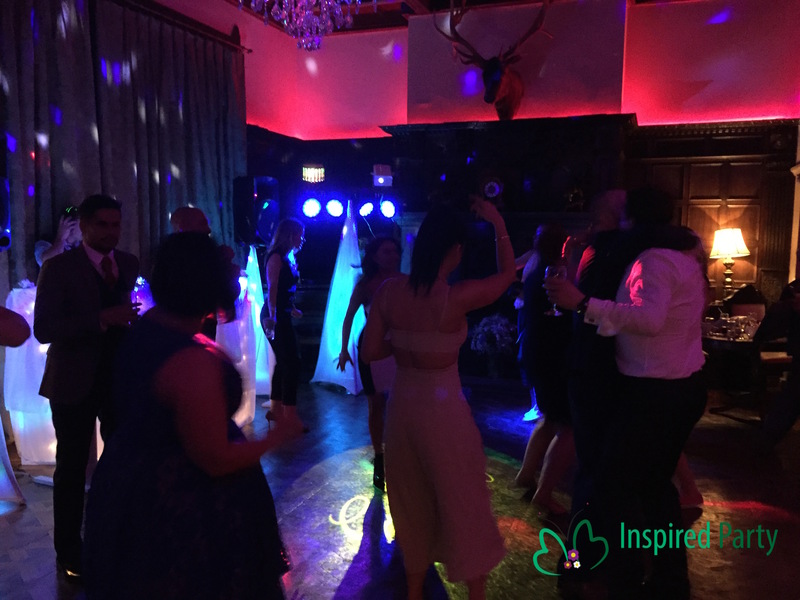 Yes, when you book your event with Inspired Party you will receive a written contract confirming for you all the details of your booking. Yes, you have complete control of the music! You can have as little or as much input as you would like. We can play a mixture of yours and your guests requests or you can leave it all to us. Our venue has asked us for proof of your Public Liability Insurance and PAT Test certificates. Do you have these? Yes we do. We would be more than happy to email these to your venue direct on your behalf.